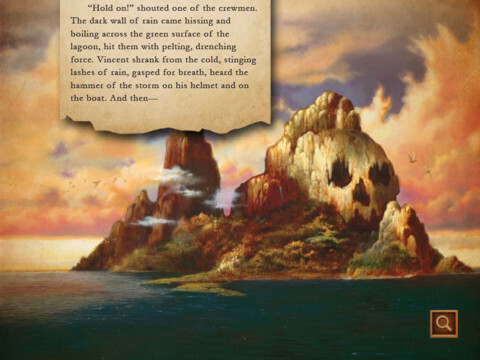 New approaches to storytelling are running rampant through the jungles of Skull Island, it seems. 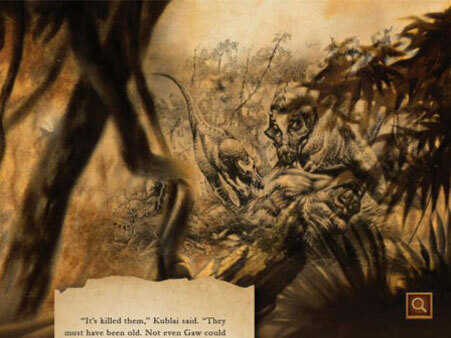 Though the film based on artist Joe DeVito and writer Brad Strickland’s illustrated novel Kong: King of Skull Island hasn’t materialised as yet (see this article from 2009 and this from July last year for information on the film), the book has been translated into a new, very-up-to-date format, specifically designed for the iPad. 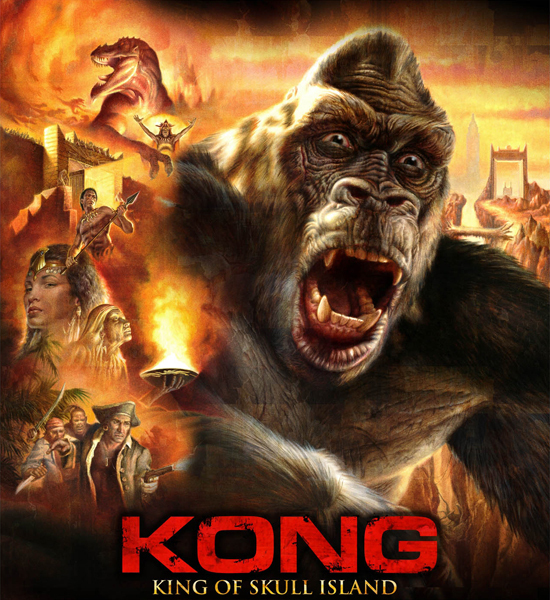 An interactive app of Kong: King of Skull Island is up and running in the iTunes App store. 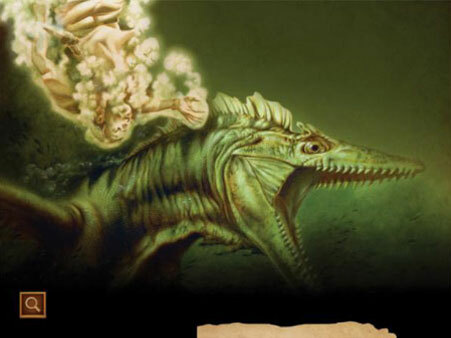 Produced by Copyright 157 LLC, with production design by Colin Fuchs and Peter Coyne, project management by Kelley O’Connnor, motion graphics by Christopher Griffin, music by Nick DeGregorio and app design by Chris Coddington, the Kong: King of Skull Island iPad app is a magnificent re-imagining of the story. With an immersive use of text scroll and intelligent reveals of the underlying artwork, it is indeed like plunging into a new kind of interactive reading and I for one found it effective and engrossing. The music, too, adds greatly to the effect. If DeVito and Strickland’s original book was a worthy addition to the Kong mythos, the new app version expands and enhances the experience even more, taking it in yet another direction. It’s probably fair enough to call it a “groundbreaking experience”. This app doesn’t represent a mere re-design job, but a re-imagining of the way in which pictures and words can work together to tell a story. Spectacular enough here, it nevertheless offers lots of potential for future development. The original book is out (with abbreviated art) in iBook, Kindle and Nook form as well. Source: Joe DeVito via Avery Guerra. Writing and review elements by Robert Hood. 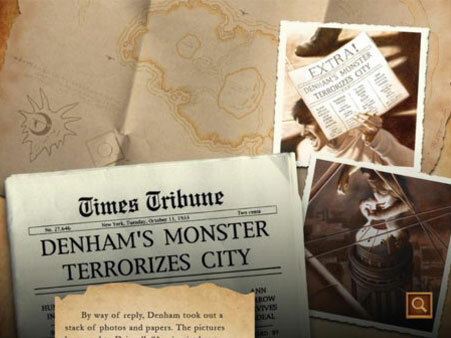 This entry was posted in Books, King Kong, Monsters in general, Pictorial art, Trailers and tagged Animation, brad strickland, ipad app, joe devito, King Kong. Bookmark the permalink.